Kendrick, Bryce. 2000. The Fifth Kingdom, 3rd edition. Focus Publishing, Newburyport, Massachusetts. Paperback. 373 pgs. A mycology textbook written at the college level but in a conversational style with many line drawings ( no color) of strange organisms. The vocabulary is sophisticated. If you already know the meaning of words like zygote, diploid, and karyogamy but are new to the fungi this book will be challenging. Kendrick begins by creating a descriptive montage of fungi and related organisms. If you like stuff cut and dried you might have a problem with Kendrick's style. You have to figure things out as you go back and forth seeking an understanding, flipping pages, making notes in the margins. The subject is complicated and he reveals this by juxtaposing organisms with similar life histories and morphologies but different phylogenies. However, once past the first two chapters, the sailing gets easier as he concentrates on the Eumycotan fungi and leaves the Chromistans and slime molds (Protozoans) behind. He soon begins describing the salient features of Zygomcota, Ascomycota, and Basidiomycota in a more straight forward manner. Kendrick is an obvious master of the subject and does not dumb it down.This book is a gold mine but you have to work to get to paydirt. 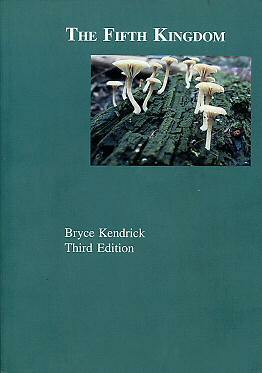 The book and many additional photographs of fungi are available on CD Rom.